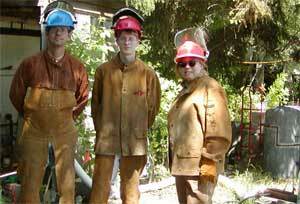 Workshops at Blackhawk: We offer summer workshops that include bronze casting with sand molds, ceramic tile mural, raku and cupolette construction. This image is of a permanent installation in the Marshall, Minnesota Middle School. The artists at Blackhawk have recieved grants for several workshop residencies in Minnesota Schools. This usually involves two sessions a week apart and held at the school. One session introduces the project and each student is given a clay tile and instructions for carving it. Another session is used for fine detailing, burnishing, and the application of the underglaze. 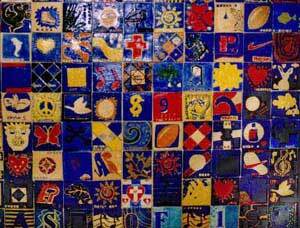 Tiles are dried, bisque fired, glazed and fired at our studio and then installed in the school by Blackhawk. Feedback from students, teachers and parents has been very positive. ¤ Repeating Pattern Tile process (including patterns, models, and molds). ¤ Investment metal casting process. ¤ Lost Styrofoam casting process. 3D Curriculum Project Developed for computer design students with little studio experience, and sculpture students with little computer modeling experience. SCORM Paper Discusses the issues relating to the necessary redundancy of stand-alone reusable learning objects, and posits a simple web-based solution for organizational structure. Published in eLearning Developers' Journal, Dec. 22, 2003. Presentation on the VARK supplemental materials research I did at Northern State University's Center for Statewide Elearning. This is a PowerPoint Show and may require PowerPoint to view. 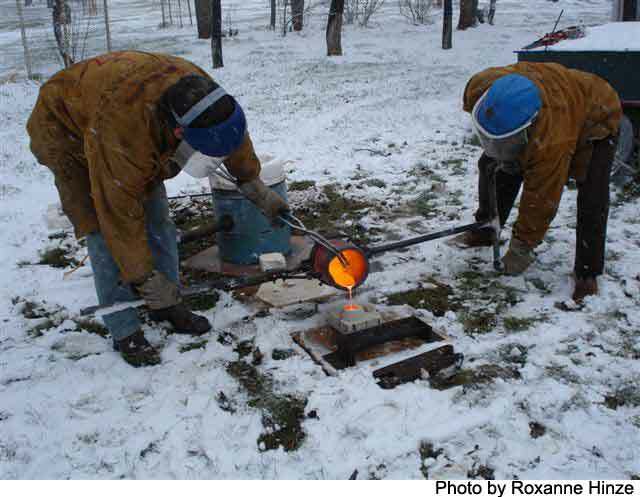 Granary Rural Cultural Center High School Metal Casting (snow optional).